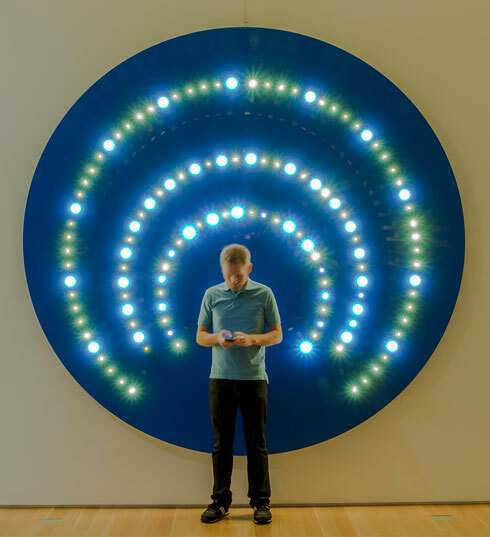 Dylan Mortimer - Illuminate, installation view, October 25, 2013 - February 9, 2014, Nerman Museum of Contemporary Art, Johnson County Community College, Overland Park, KS, photo: E.G. Schempf. Mako Fujimura – Golden Sea screening, lecture and book-signing and world premier composition based on the conference theme. Explore on-campus art installation, visit Signs of Life Book Store booth. Visit with speakers and fellow attendees, sip coffee. Gallery crawl, entertainment & heavy hors d'oeuvres in the Kansas City Crossroads District.